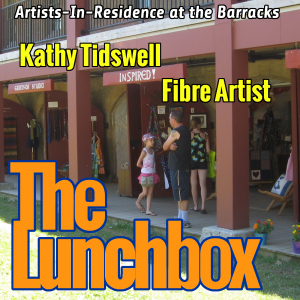 Art often touches us, but occasionally we can touch it back..
My guest today is Kathy Tidswell, a fibre artist combining painting and thread techniques to create unique, three-dimensional art. We chatted about her techniques and what brought her to create this art. You can see examples of her art on her web site, but to truly appreciate it, visit her in person at the Barracks this week.